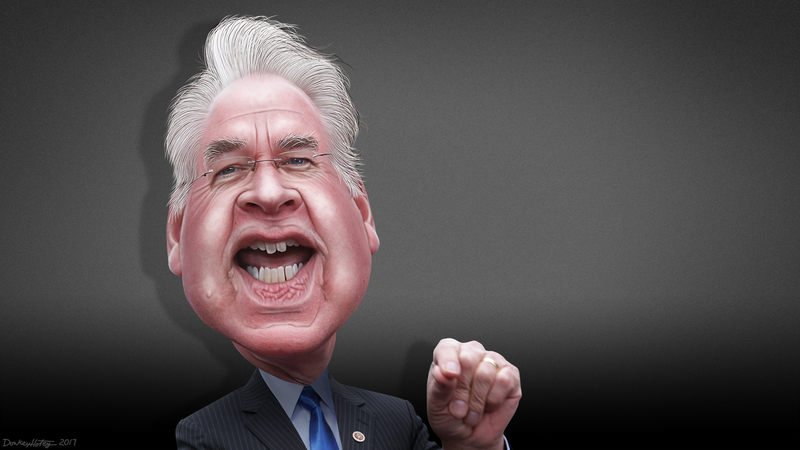 Thomas Edmunds Price, aka Tom Price, is Donald Trump's Secretary of Health and Human Services. His is a former U.S. Representative for Georgia's 6th congressional district. This caricature of Tom Price was adapted from a Creative Commons licensed photo from Mark Taylor's Flickr photostream.